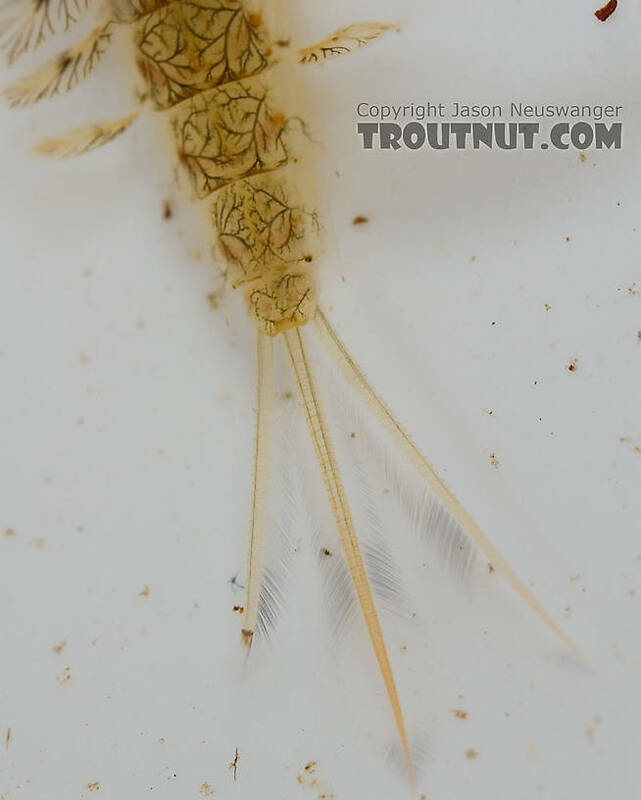 I photographed this nymph in the middle of molting between one instar (Instar: Many invertebrates molt through dozens of progressively larger and better-developed stages as they grow. Each of these stages is known as an instar. 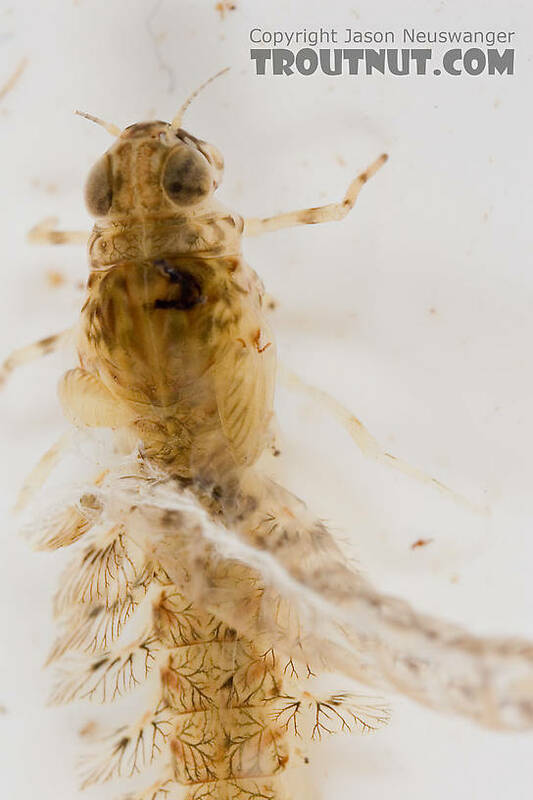 Hard-bodied nymphs typically molt through more instars than soft-bodied larvae.) and the next (not hatching). 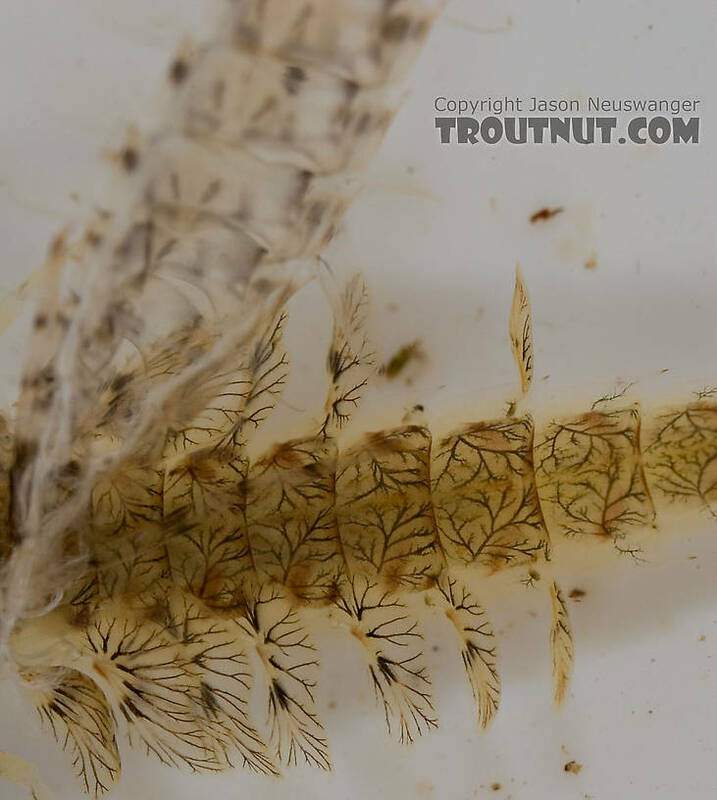 This mayfly was collected from the Delaware River on May 13th, 2007 and added to Troutnut.com on May 18th, 2007. These are absolutely wonderful photos! What lens did you use? 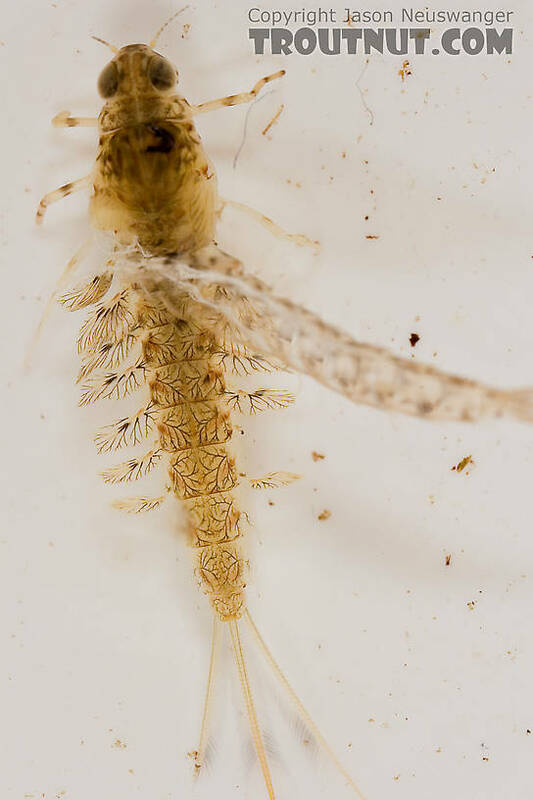 I have always thought that when the mayfly molted it did it somehow along the same lines as when it's emerging in to the adult. Where the wing pad splits and they basically emerge through that opening. 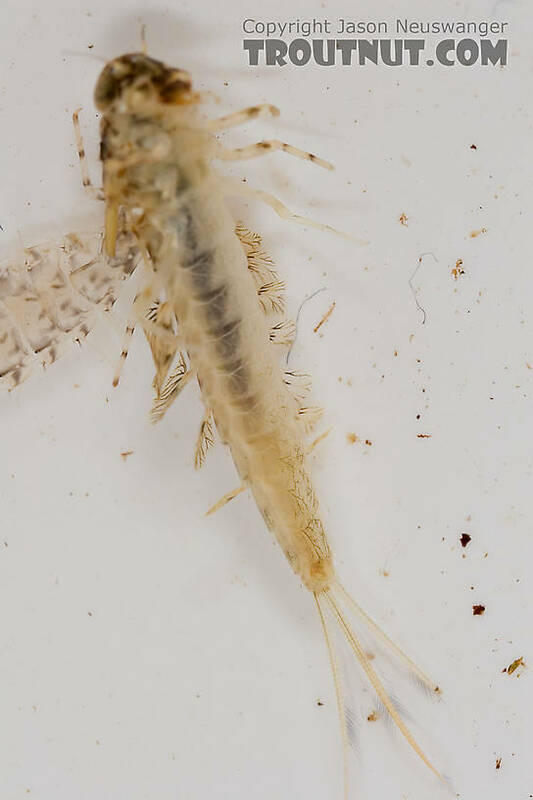 This appears more like a snake shedding its skin and it appears to have split along the bottom of the insect and the exuviae just flakes off. The detail of the veins throughout is incredible. I guess there is nothing "gray" about the younger version of the nymph, eh?! I hope you haven't started Spence in to thinking that he needs to tie up some transitional nymphs! It's bad enough now all the stages we are trying to imitate!